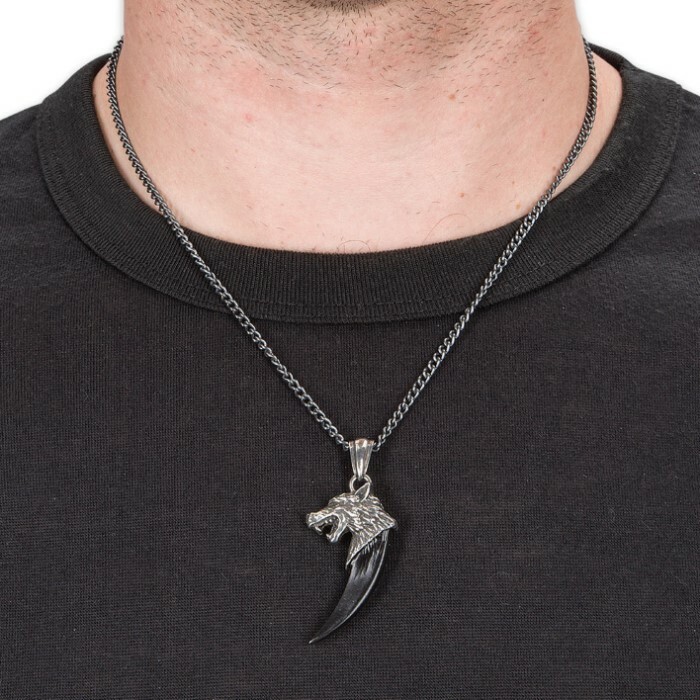 From the Saxon and Viking raiders of the Dark Ages to underworld, nocturnal revenants of latter-day, the symbol of power from the wolf’s fang is understood by all. 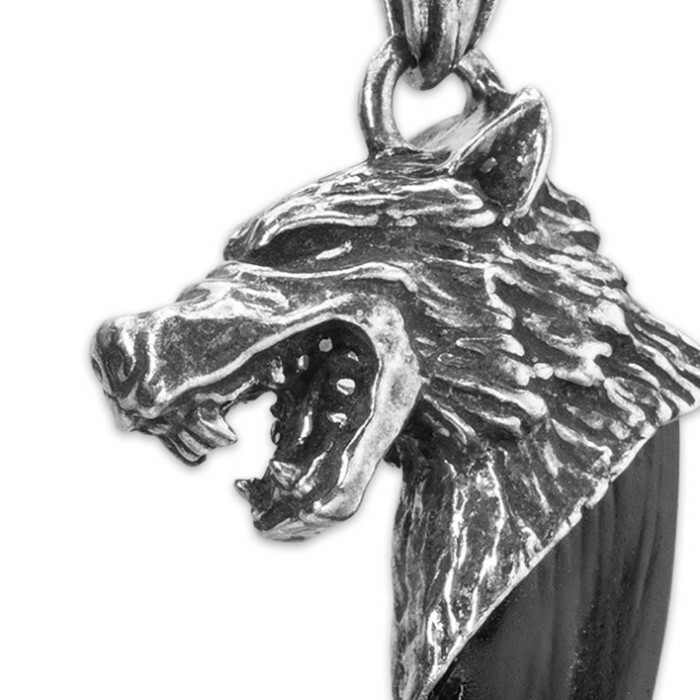 Wear this amulet to summon the power of “the beast within.” A fully three-dimensional, double sided, sculpted wolf's head in profile, tops a black pewter wolf's tooth. The pendant is suspended from a pewter bail and hangs on a 21" antiqued curb chain.